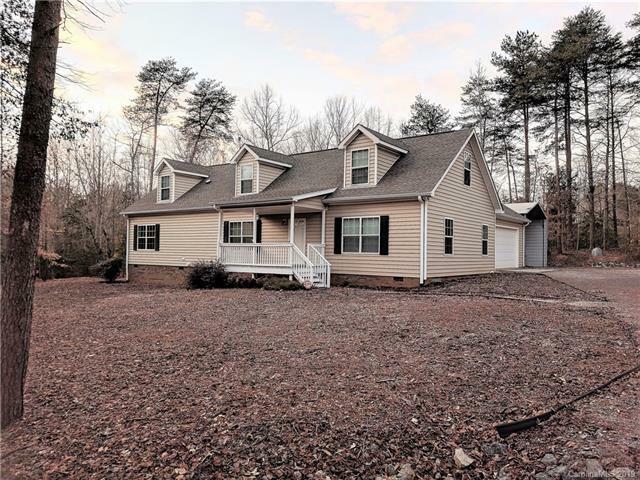 Enjoy country living in this wooded neighborhood just 3 miles from Lake Norman water access. 3BR, 2BA home sits in cul de sac on 1.2 acre lot. Opportunity to expand living area with approximately 800 sq ft of insulated space upstairs with sub floors and dormer windows. Beautifully finished wood staircase leading to upstairs. Freshly painted interior. 9ft high ceilings, several sky lights, and ceiling fans in most rooms. Nice size kitchen with plenty of storage and a separate laundry room. Large screened porch off dining area, great for birdwatching. Separate workshop adjacent to double car garage. Covered RV pad with pump out and electric hookup. Large driveway allows for plenty of parking. Interior doorways and master shower designed for handicapped accessibility. This home offers many amenities and is great for those who enjoy nature and listening to the sounds of water trickling from the small stream! Offered by Lllumi Properties. Copyright 2019 Carolina Multiple Listing Services. All rights reserved.